Home bbloggers beauty cosmetics eye makeup eyeliner eyes irishbloggers makeup mememe cosmetics reviews MeMeMe Cosmetics Eye Sweep Precision Eyeliner Review! 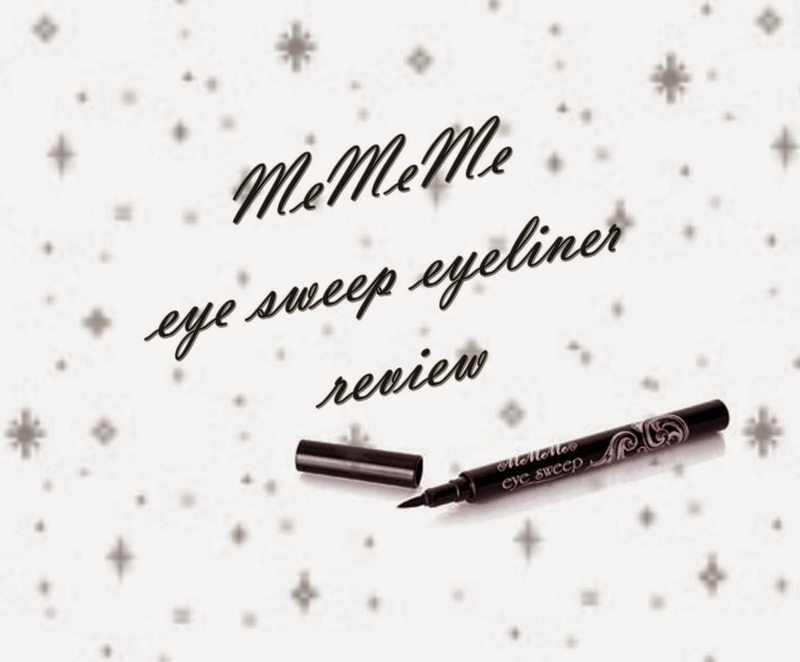 MeMeMe Cosmetics Eye Sweep Precision Eyeliner Review! I just had to write a post on this eyeliner as soon as I had the time to. Recently I'm finding it harder to apply gel liner and I've been using liquid eyeliners mostly but I decided I wanted wanted a change and decided to try out a pen/marker eyeliner as I had only tried out one before (which was years ago). I was shopping yesterday and picked up MeMeMe Cosmetics Eye Sweep Precision Eyeliner for €7.99 which is amazing value compared to what I'd usually spend on my usual eyeliner, MAC Fluidline. Eye Sweep is a pen/marker liner and when I tested it on my hand in the shop I was impressed by how you could change the thickness of the line so easily. I used it today to see what it was like and I am honestly so impressed. With one sweep I was able to put on my eyeliner effortlessly and it came out in a perfect line. The eyeliner has stayed put all day and hasn't budged one bit. It's a nice, dark black colour unlike other eyeliners that I would have tried before which is another major plus in my book. I don't think there's much else I can say about this eyeliner but it's just a brilliant product. Being the first product I have purchased from MeMeMe I am extremely impressed and it's safe to say I will definitely be buying this eyeliner again! MeMeMe Cosmetics can be bought internationally from MeMeMe's website here or you can click here to find a stockist near you. MeMeMe Eye Sweep Precision Eyeliner gets a thumbs up from me! Have you tried any of the MeMeMe products before? What was your favourite? Let me know in the comments below.